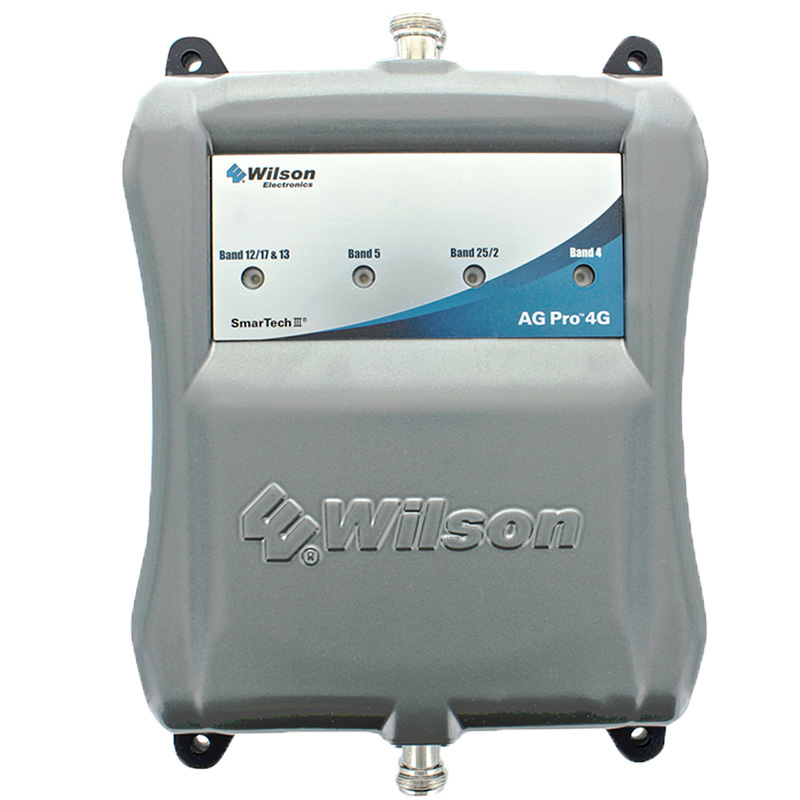 Wilson Electronics is a leading manufacturer of cell phone signal boosters. Cell phone boosters are FCC-approved, state-of-the-art devices that boost cell phone signals, especially in poor coverage areas. When faced with dropped calls, poor voice quality, and slow internet, having one bar of 3G and 4G isn't enough. Not enough for convenience, play, business, and certainly not enough for emergencies. Signal boosters were primarily designed for remote rural areas; however, urban congestion and the uprise of smartphones, tablets, and other smart devices demand more bandwidth and data that cell towers can't supply fast enough. Therefore Wilson cell phone boosters have gone from niche to necessity and a trusted brand for over 10 years. Whether it's boosting signal in a car, at the RV park, on a boat, for single room in the home, or a multistory metal building, cell signal boosters are growing in demand. 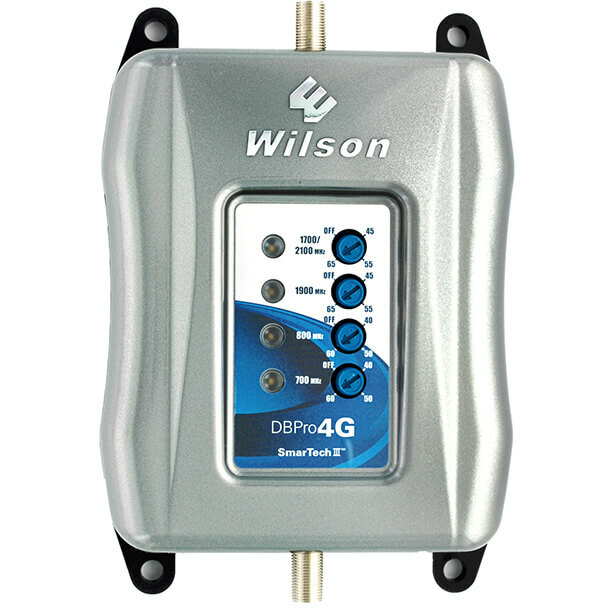 Wilson Amplifiers takes away the frustrations of choosing the appropriate cell booster. Besides our free shipping, lifetime technical support, 2-year warranty, and 30 day money guarantee, our US-based customer support is trained to know every little detail about getting you better signal. We offer best and realistic outcomes from years of experience dealing with weak reception and solving tens of thousands of happy customers. Our motto: "Provide solutions. Don't sell boxes." Read real reviews from our customers. It's because of our goal to provide the best Wilson Electronics signal boosters that have led us to #424 on the Inc 5000 Fastest Growing Companies List in 2015. 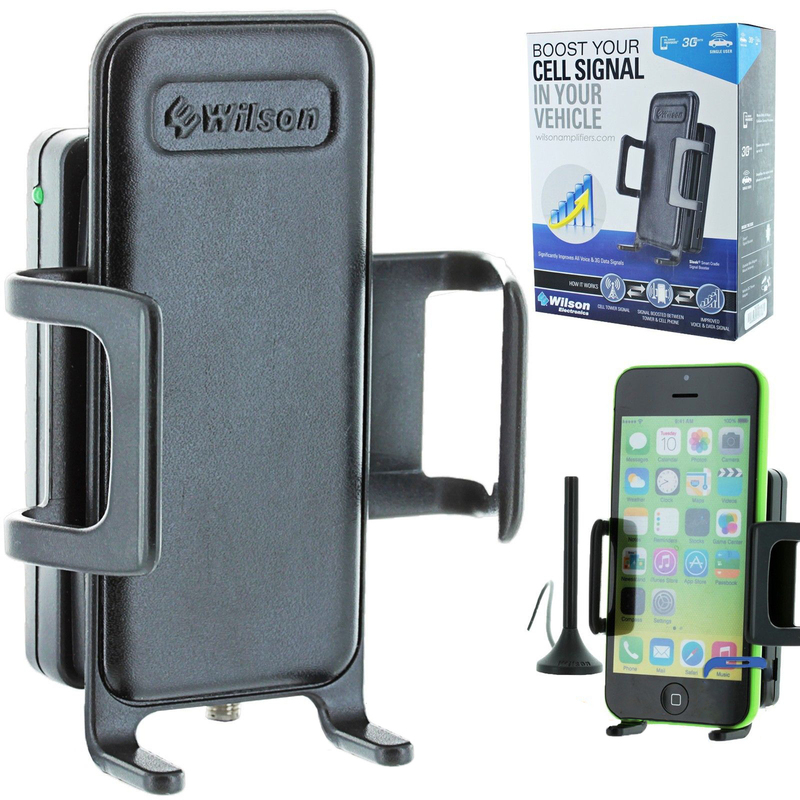 Below are the five most popular Wilson cell phone boosters, ranged from good, better, and best. These are ranked in two categories, cell phone booster for home and cell phone booster for car. These units works for all phone and all carriers! This is a good entry-level signal booster. Depending on the outside signal, you may get 1-2 room coverage under best conditions, but it's more realistic to say desktop to small room coverage. Most customers have told us they're much closer to the inside antenna than anticipated for more bars. Great option for single office, home office (SOHO) and small areas like cabins and apartments. 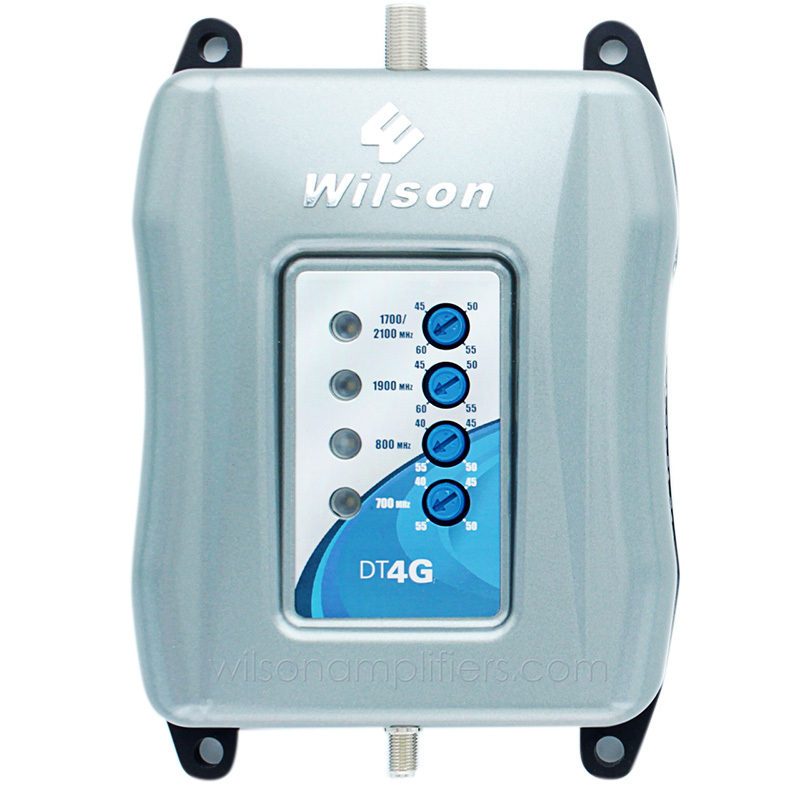 Find information and customer reviews about the Wilson DT4G here. This is a very popular cell phone booster and should boost signal in the average home. Depending on the outside signal, you may get 5,000 sq ft under best conditions. Our customer reviews and surveys puts an average of 2,500 sq ft. Great option for most homes, small offices, farm houses, and buildings under 5,000 sq ft wide. If you're getting some spotty reception, we'd recommend to start with this first. Read more info and customer reviews about the Wilson DB Pro 4G here. This is absolutely the most powerful cell phone signal booster Wilson Electronics offers. Depending on the outside signal, you may get 10,000 sq ft under best conditions. The average is around 5,500 sq ft, although coverage could be smaller if signal is very bad. If you have extremely poor signal (remote area) or need wide coverage (multistory buildings), the AG Pro 4G is your best bet. Read more details about the Wilson AG Pro 4G here. Very versatile car cell phone signal booster. Cheap price. Non-obstructive. When paired with a bluetooth headset, it really shines. Smartphone has to be in the cradle for maximum signal boost. Might be a tight fit on wider smartphones. Read more details about the Wilson Sleek 4G here. Click here for more details about the Wilson Mobile 4G. The most popular car signal booster. Slim outside antenna to pick up signal. Indiscreet inside antenna to broadcast signal. Majority of customers say they're getting at least 2 to 3 more bars. A few did say they have to be closer to the inside antenna than anticipated to get more bars and amplified signal. 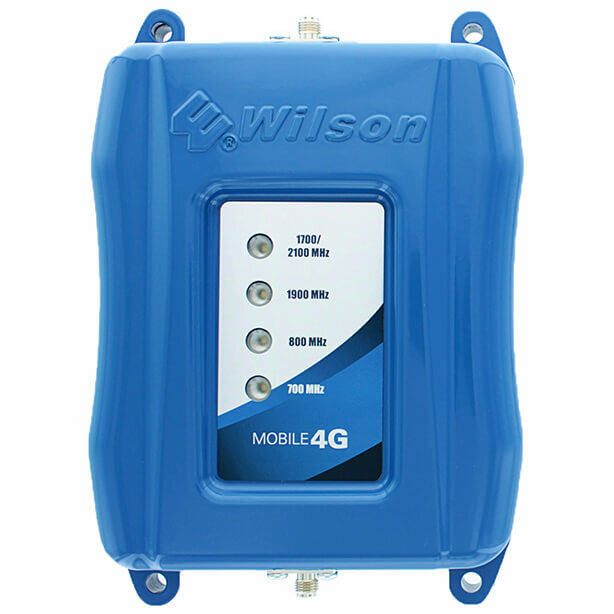 Read more details about the Wilson Mobile 4G here. Find more information about signal boosters for home and cell phone antenna boosters for cars. *We have no southern drawl except for Heather.